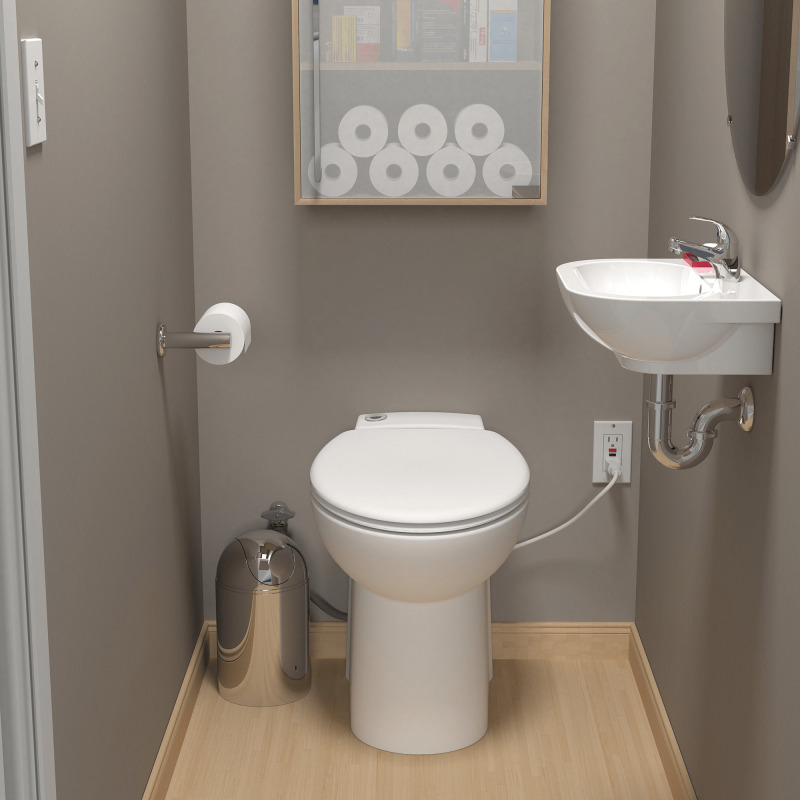 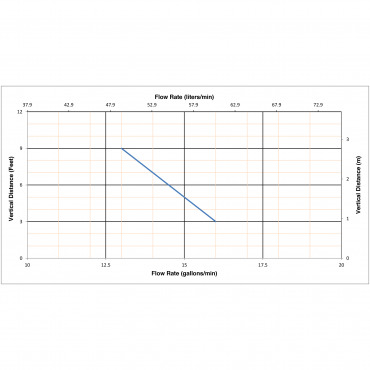 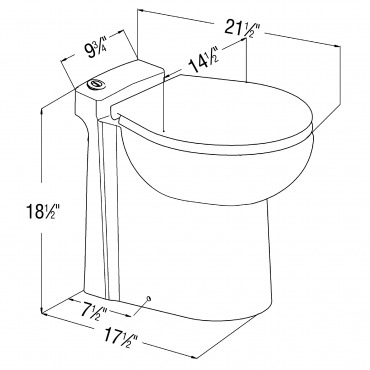 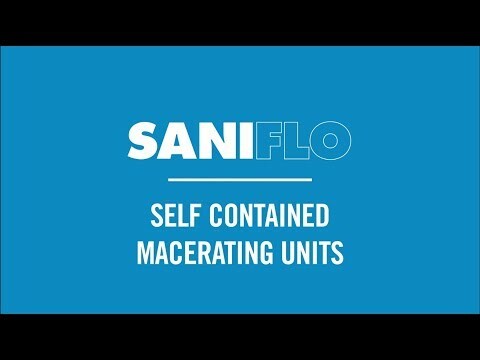 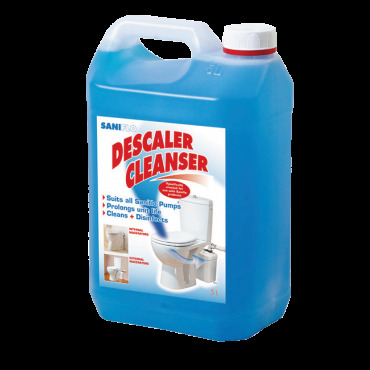 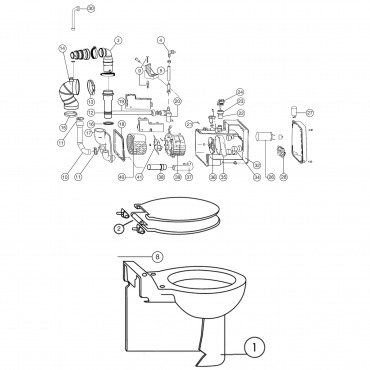 The Sanicompact is a self-contained dual-flush toilet system used to install a half-bathroom up to 9 feet below the sewer line, or even up to 120 feet away from a soil stack. 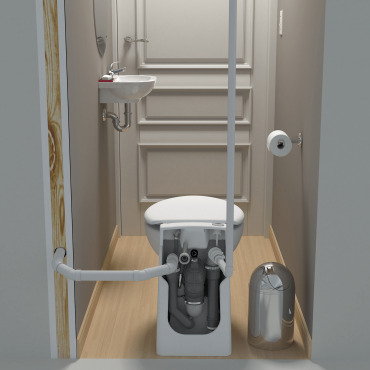 It incorporates a macerating system which can handle human waste and toilet paper in residential applications. 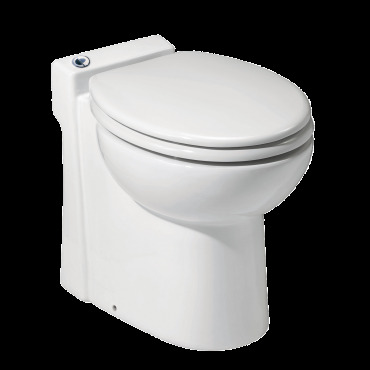 The blade is made out of a hardened stainless steel material which eliminates the need for any service or replacement.